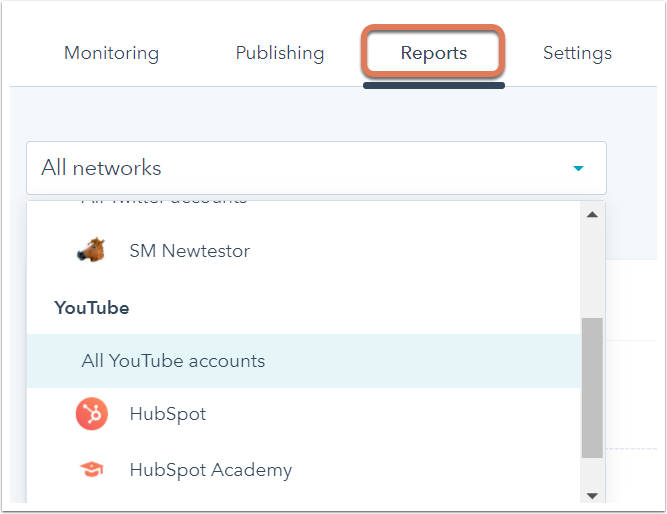 After connecting your YouTube account to HubSpot, you can use YouTube reports to report on the performance of your YouTube videos directly within HubSpot. 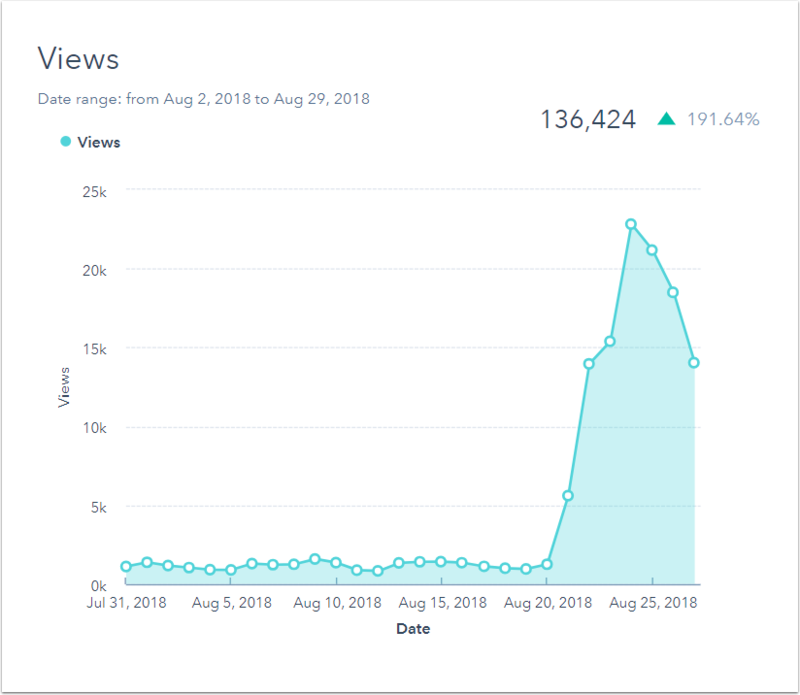 In the reports, you can view aggregate data on views, subscribers, and other interactions, your YouTube accounts over time, and statistics for individual videos. Click the All accounts dropdown menu and select All YouTube accounts or a specific YouTube account if you have multiple connected accounts. Use the top filter to filter your reports by time period: this week, this month, the last 30 days, last month, the last 3 months, or a custom time period. The YouTube Overview report shows the total channel subscribers, total views, average view duration, total likes, total dislikes, total comments, and total shares for the time period selected. Each statistic shows the percentage change from the previous time period. The Watch time report shows the total watch time per day in minutes for the time period selected. The Views report shows the total views per day for the time period selected. 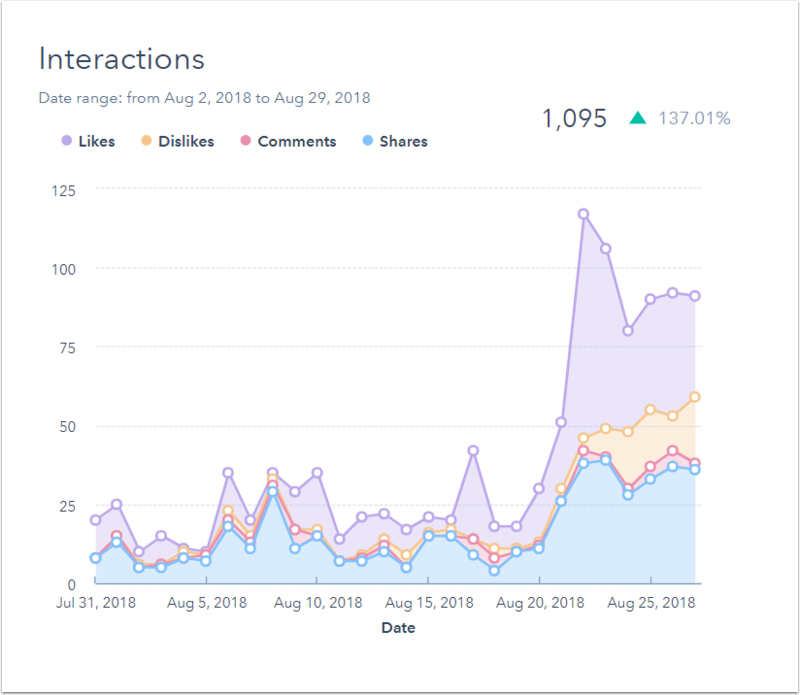 The Interactions report shows the number of likes, dislikes, comments, and shares per day that occurred during the time period selected. 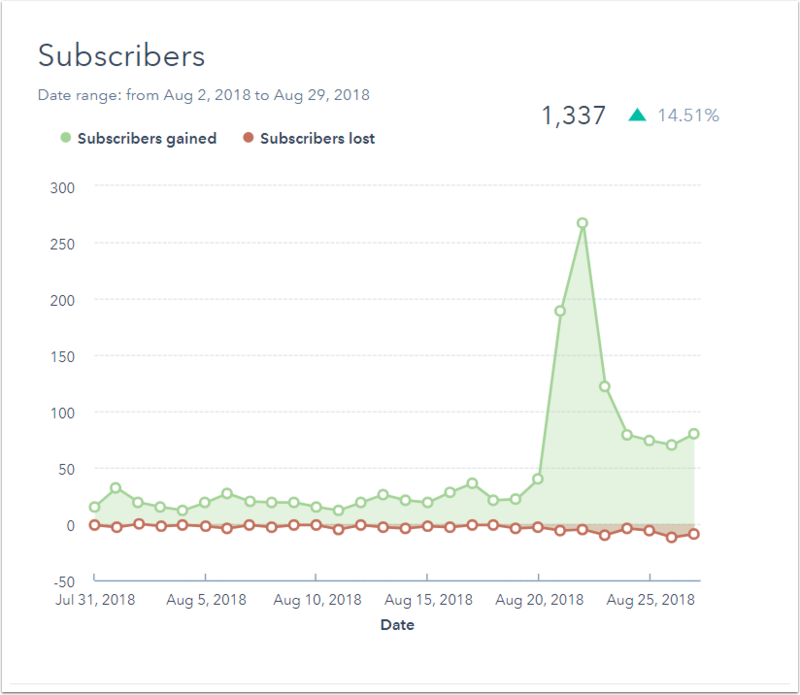 The Subscribers report shows the number of subscribers gained and lost per day for the time period selected. 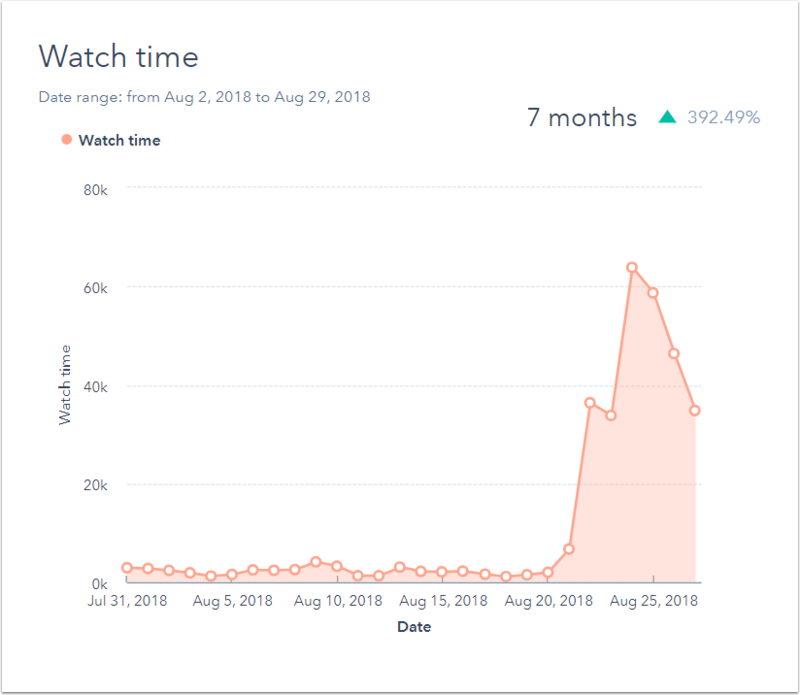 The YouTube Post Engagement report lists all the videos posted during the time period selected, along with the publish date and time, views, average percentage viewed (an average of how much of the video each person watched), likes, dislikes, comments, and shares. Click a column header to sort the report by a specific metric.